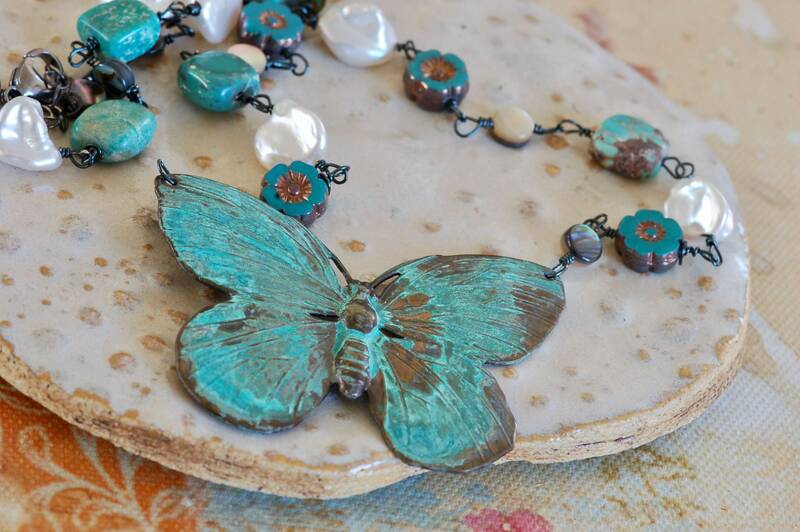 For the butterfly lover! 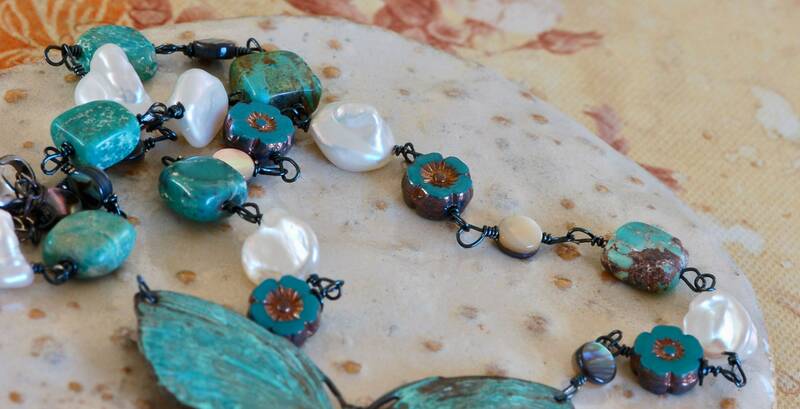 White fresh water pearls, squares or turquoise, paua shell, and turquoise glass flowers etched in gold. 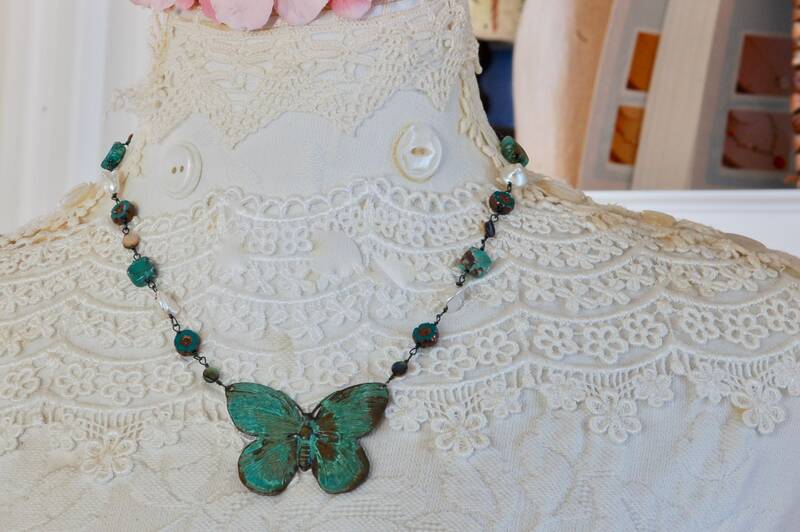 This beautiful brass butterfly has a deep rich aqua blue/green patina. Beautiful antique bronze toggle clasp. 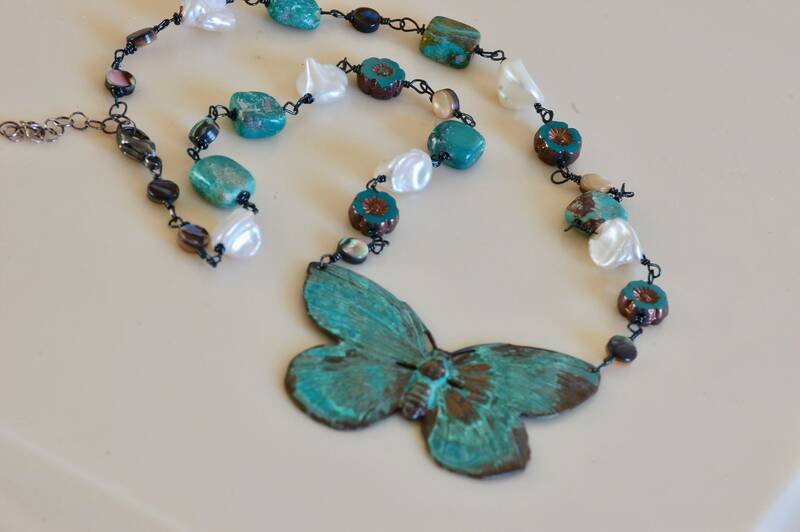 Necklace is adjustable from 18 to 19 3/4 inches long. Please let me know if you would like it lengthened or shortened. Wire wrapped with antiqued art wire. 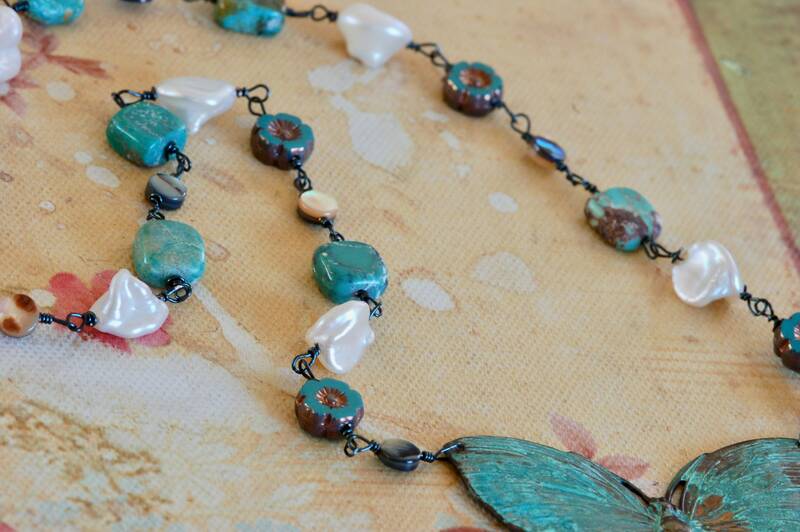 This necklace looks great with a red dress or a bright color that makes it pop. It also looks great with black. Really it compliments most colors.